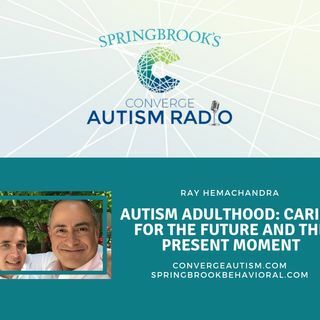 Join host, Melanie Vann, on the latest episode of Converge Autism Radio as she interviews Ray Hemachandra. He is advocate, author, and educator about the world of autism. Ray Hemachandra is the parent of an autistic son. He speaks, writes, and teaches about autism and disability from the perspective of neurodiversity, acceptance, and compassion. Professionally, Hemachandra is an organizational consultant and communications strategist. He serves on a half-dozen boards and committees for ... See More autism and disability organizations. Follow his writing about autism and other topics at www.RayHemachandra.com.